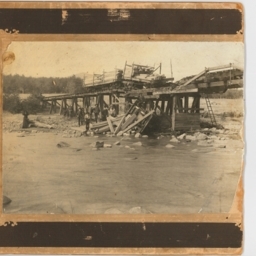 Photograph showing the aftermath of a wreck involving a train on the the "Dinky" Railroad which connected Edinburg Virginia with the iron operations at Liberty Furnace. The wreck occured on March 2, 1911 when the railroad trestle crossing Stony Creek near Three Mile Mountain collapsed with the train on top. Engineer James Sine was killed and Fireman Thomas Foltz was seriously injured. The cause of the accident was a decayed timber in the bridge. The line reopened in a few weeks. 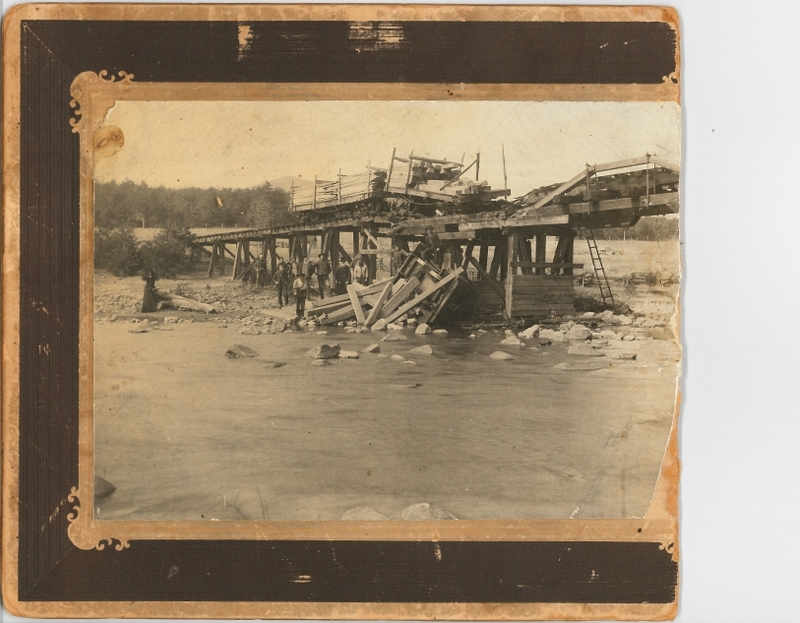 Shenandoah County Photograph Collection : Dinky Railroad crash, 1911, Truban Archives, Shenandoah County Library, Edinburg, Virginia. Unknown, “"Dinky" Railroad Wreck,” Shenandoah County Library Archives, accessed April 24, 2019, http://archives.countylib.org/items/show/11564.